Little Stack shown on PLCT and PLCB (Park Little Cab Top and Park Little cab Bottom). Each cabinet houses one Celestion G1265 Creamback M 12", 16 ohm speaker. 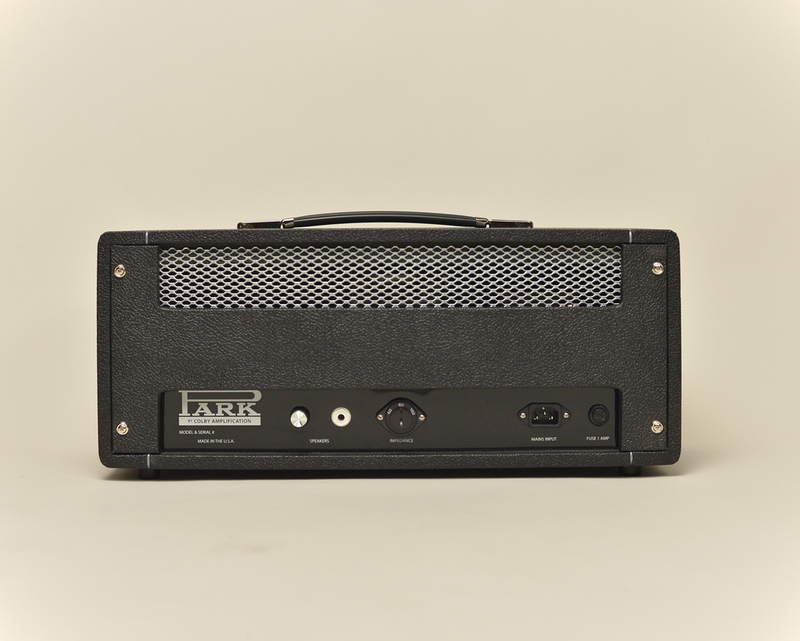 Also shown on custom built 1x12 cabinet with limited edition EC Collins Park white pinstripe grill cloth. Little Red Head on top of Park 75 LTD in red. Little Red side shot. Here are the insides of a custom ordered Park Little Head 18 using NOS (New Old Stock) mustard capacitors, Piher and Allen Bradley resistors and other special parts.